You have lots of exciting product pages. But how do you convert casual visitors into eager buyers? It’s one of the most important goals for eCommerce businesses, and there are few aspects more influential than customer reviews. Surveys have shown that online reviews influence 90 percent of customers’ buying decisions in some way. A further 88 percent of customers state that they trust online reviews as much or more than an in-person recommendation. Let’s say you send an interested visitor to a product page with no reviews. It can seriously harm your chances of converting them into a buyer. The solution? Take steps to encourage customer reviews: and provide a better experience for new buyers. How do customers access reviews that others have left, or leave their own reviews after purchasing a product? Asking that your customers take too many steps to leave a review can hamper the chances of them doing so. To improve the frequency in which customers leave reviews, you must get the review panel in front of them. Include reviews from previous customers, in their full text, directly on your product page. Add clear buttons that lead previous customers to review the product. The more clicks that you expect your customers to make, the fewer reviews they will leave. Improving the visibility of reviews on product pages will not only increase the number of reviews that your customers leave, but it will improve conversion rates for highly rated products as well. 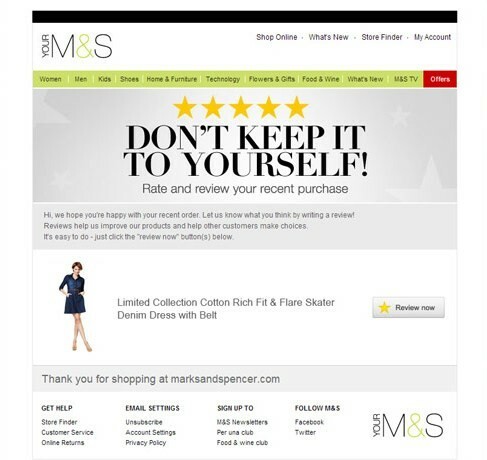 If you aren’t already asking your customers to review the items that they purchase via email, you should be. The above example provides a simple but effective review request email. Keep in mind certain things when it comes to emails like this. First, you don’t want to send it too early. Review requests should come after the item has been shipped, at the very least. Even then, you should probably give them a week or so to use the product before you ask for a review, as you don’t want them to rush to judgment. You can stagger several email requests for reviews over the course of weeks or months depending on the product. A customer that leaves one review is more likely to review other items that they buy as well. When a customer leaves a review, don’t be afraid to reach out to them and thank them for doing so. This is especially helpful for new companies looking to jumpstart their customer reviews quickly. 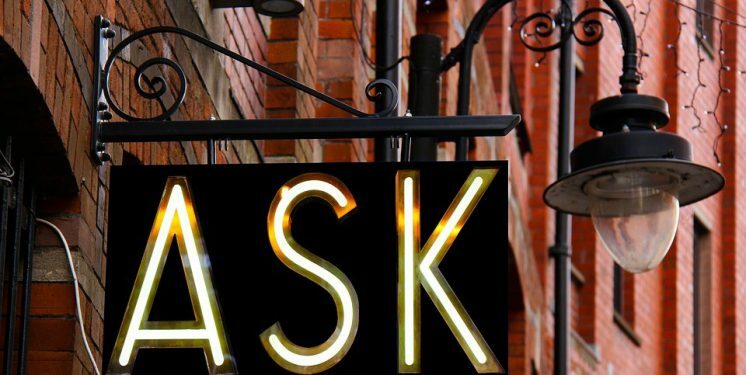 Letting a customer know that you appreciate their feedback helps to build a personal connection with them. It also increases the likelihood of future reviews. Let them know how important customer reviews are to your business. Incentivizing your customers to leave reviews also works well. And it makes sense — it takes time and effort for your customers to leave a review, who are under no obligation to do so. In exchange for their time, offering them something in return represents good business. You can offer coupons or discounts on future items in exchange for a public, honest review. If you choose this route, make it clear to your customers that you want honest reviews, positive or negative, and aren’t paying for a positive take on the item that they purchased. You don’t want to give the appearance of buying positive reviews, because then those customers will not trust other reviews that they see on the site. 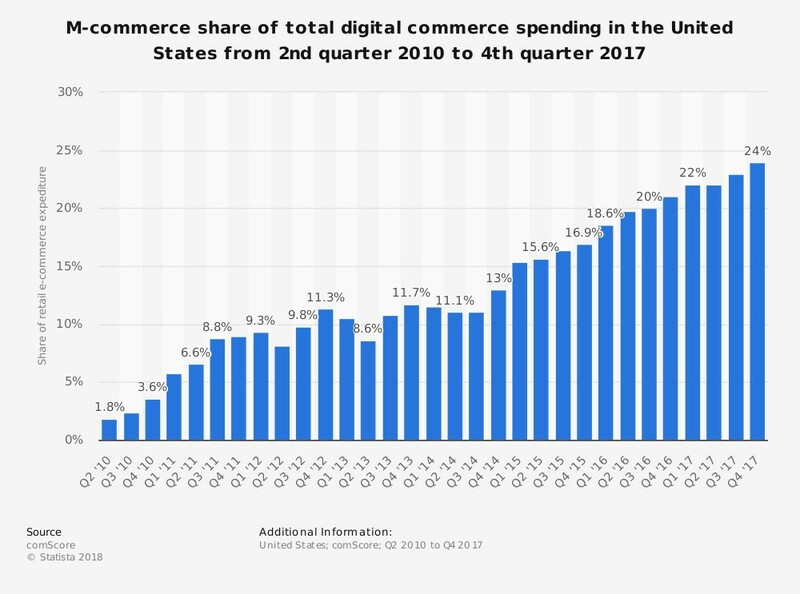 In 2017, mobile accounted for 24 percent of all eCommerce spending, according to comScore. If you take a look at your analytics, you’ll find a significant share of your visitors likely come from mobile too. For this reason, you need to make things as simple as possible for mobile reviewers. Don’t make them navigate through a desktop page to leave a review on their phone. Rework your review processes to be mobile-friendly or responsive, and simple to navigate from any mobile device. According to Capterra, 40 percent of customers will take action after reading a positive review. Having a healthy number on each of your product pages is vital for increasing conversions and giving your customers peace of mind when buying a new product. Use the tips in this article to encourage customers to leave reviews…and make the process of leaving one simple.